Isn’t it funny how ice cream is appropriate no matter the season and no matter how cold it is outside? Even in this current freezing cold 15 degree weather, I want ice cream. And I’m definitely not alone. Massachusetts has miserable winters, but somehow we’re still one of the states that consumes the most ice cream. I’m pretty sure this directly correlates to how horrible our daily commutes are. Not only is there a ton of traffic, but news just came out that Boston’s transportation system, the MBTA, has the most breakdowns in the country. I believe it since I live it every day. Last winter was the worst ever, but even on a daily sunny day basis, things rarely go as planned. To the point where when you finally get home, you don’t just want ice cream, you need it. I try not to complain because my commute is certainly not as bad as it could be. Or has been in the past. You know what’s crazy? Now that I live about 20 miles outside of the city, my commute is actually shorter than it was when I lived 2 miles from my office. How is that even possible? The subway line I used to take was a daily nightmare. My commuter rail now is OK as long as it’s not too cold out (then there are inevitable engine problems!) or snow on the ground (then it’s obviously necessary to cancel all the trains). This week is bringing the type of weather that causes those issues… Which means it’s also bringing lots of ice cream. I’m really trying to eat a little bit better this year… Which mostly means, “stop eating so much sugar!” And I’ve recently become obsessed with matcha powder. 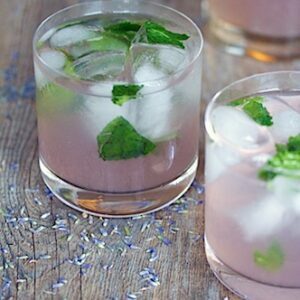 I’ve been drinking one of these every day and decided I want to incorporate matcha into pretty much everything I make. Starting with ice cream. 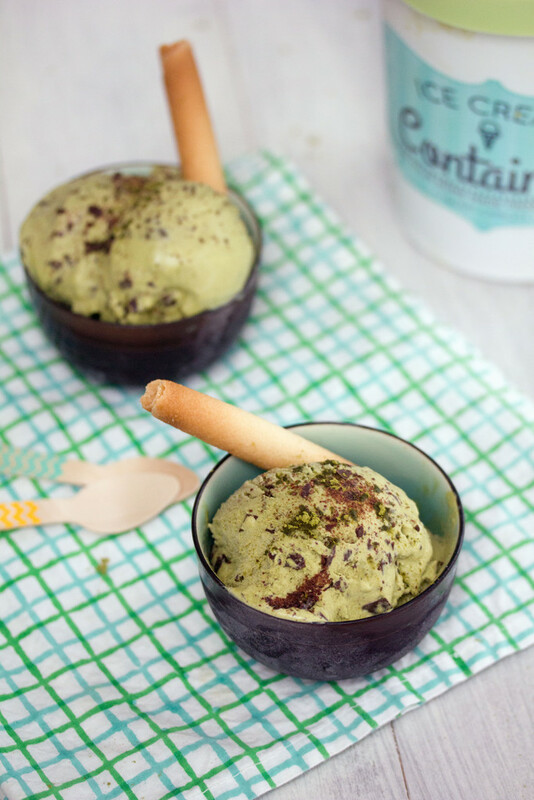 This Chocolate Matcha Green Tea Ice Cream is super simple and easy and requires no heating of eggs or dealing with eggs at all! You really just heat the milk and cream with a little sugar and matcha powder. And chill and freeze in an ice cream maker. Of course you’ll want to mix in some chopped chocolate, too. And then you just sit down and enjoy and feel a little bit less guilt about eating a giant bowl of ice cream. There are different qualities of matcha powder, so make sure to do a little research before buying. Here’s the one I like best! In case you don’t know much about matcha, here are a few things you should know. It’s different than drinking a cup of green tea in that match is actually ground up green tea leaves that you consume instead of steeping. Matcha has tons and tons of antioxidants called polyphenols, “which have been tied to protection against heart disease and cancer, as well as better blood sugar regulation, blood pressure reduction, and anti-aging.” Though it does contain caffeine, it’s said to be the kind that gives you an “alert calm,” helping you focus more. Oh, and it can help increase your metabolism, too. Need I say more? So yes, you can eat your ice cream and get your antioxidants, too. Not to mention, the more super dark chocolate you mix in, the more antioxidants you’re getting. Like you needed an excuse to eat more chocolate. 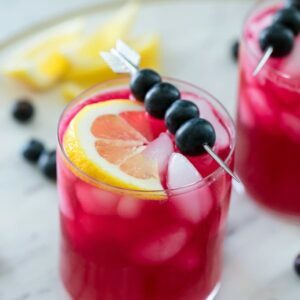 Not everyone loves a super strong matcha flavor, so this recipe can certainly be altered, by adding less of the power in or adding more sugar in. I like a more potent matcha taste, but some want their matcha ice cream more on the sweet side. 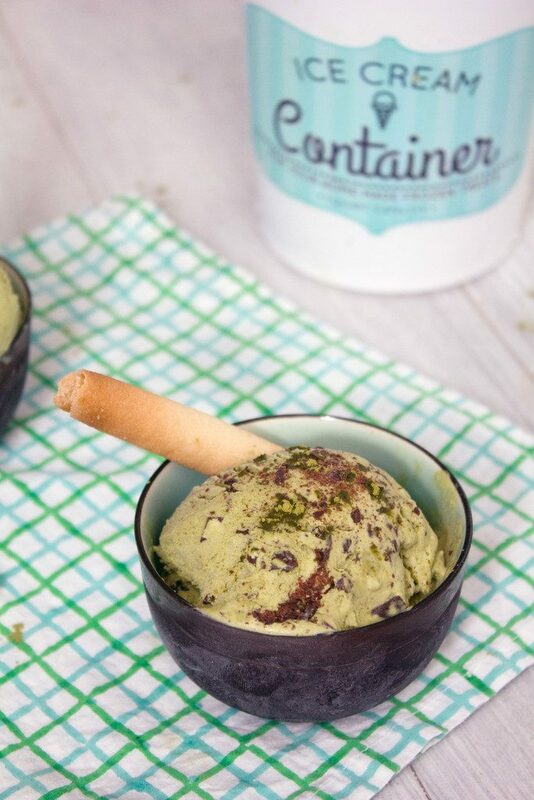 If you’ve ever ordered matcha ice cream out or bought it at the grocery store, it tends to be more sweet than matcha. It’s been too long since I’ve made my own ice cream.. I mean, how did I go all summer without breaking out my ice cream machine, but the second there’s a blizzard in the forecast, I’m on it? Ice cream is pretty easy to make in general, but eggless ice cream is bordering on ridiculous. And I forgot how delicious it was. I don’t love a super custardy ice cream, so this was much more my style. You can have your blizzard weather hot cocoa. I’ll take my ice cream. After a long day at the office and a seemingly endless commute home, a furry blanket, a book, and a bowl of this are all I really care about. What do you crave after a long commute home? 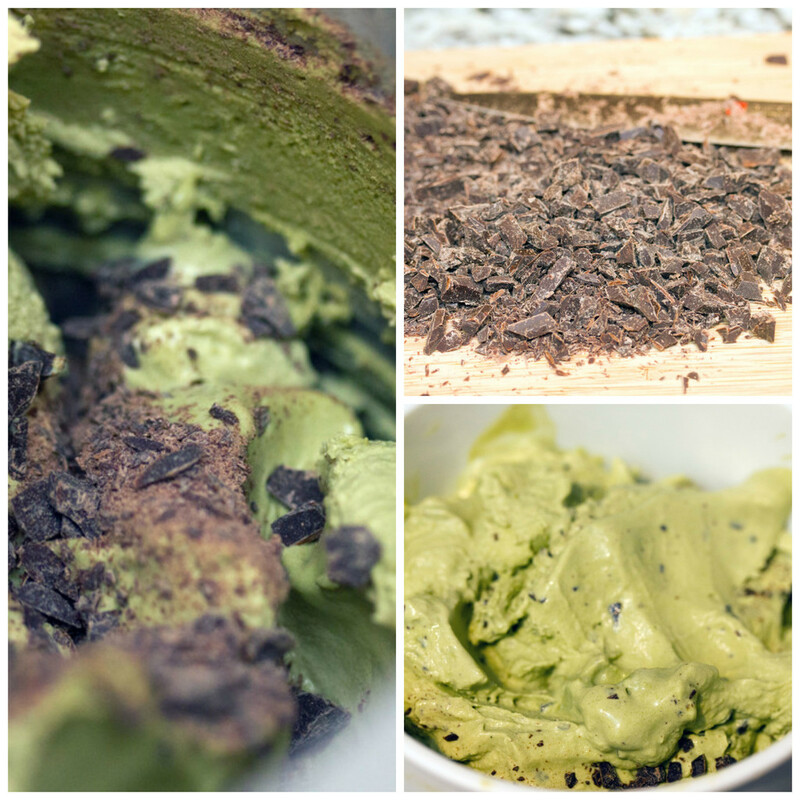 If you're looking for a lighter treat, try this recipe for Chocolate Matcha Green Tea Ice Cream. 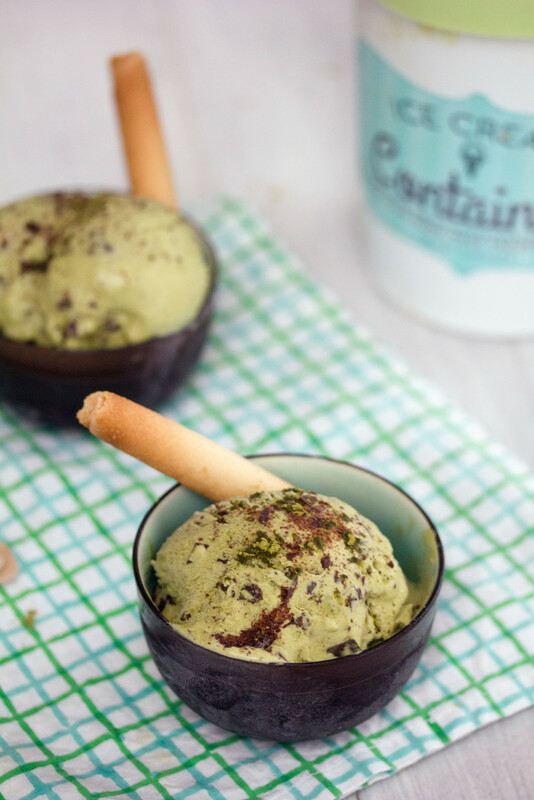 The refreshing dessert is packed with antioxidants from both matcha powder and dark chocolate! Whisk together whole milk and heavy cream in a saucepan over medium heat. 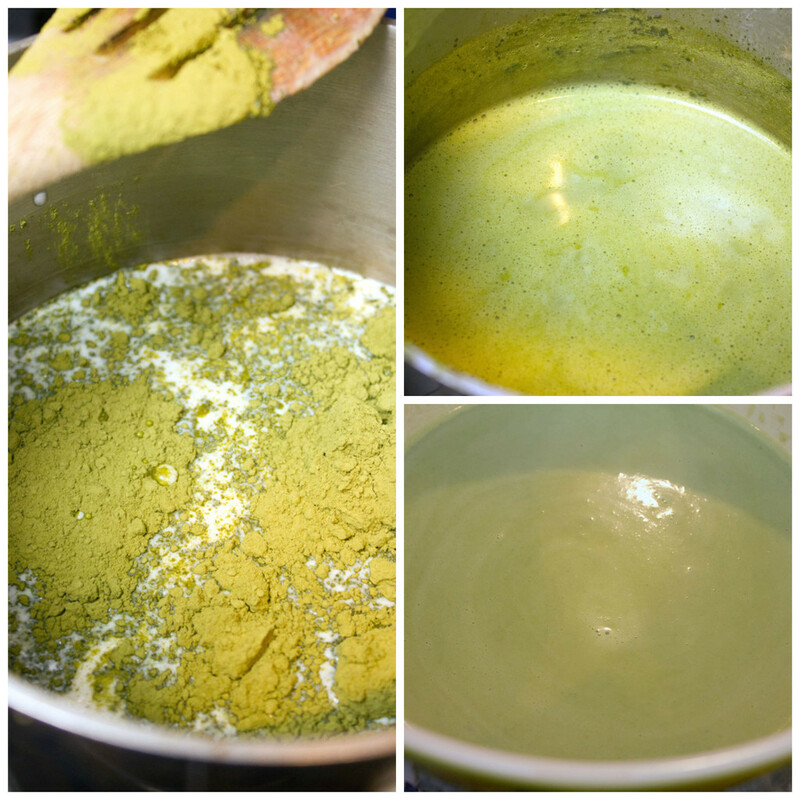 Stir in matcha powder, sugar, and salt. When mixture is just about to come to a boil (at about 170 degrees), remove saucepan from heat and pour mixture into a large bowl. Allow to cool slightly. Cover bowl with plastic wrap and place in fridge for 3-4 hours (or overnight), until well chilled. Freeze mixture in an ice cream make, according to manufacturer's directions. When ice cream begins freezing (it should be like soft serve), add in chopped chocolate and continue to process until well combined. Put ice cream in airtight container and let freeze for another 2-3 hours, until hard. 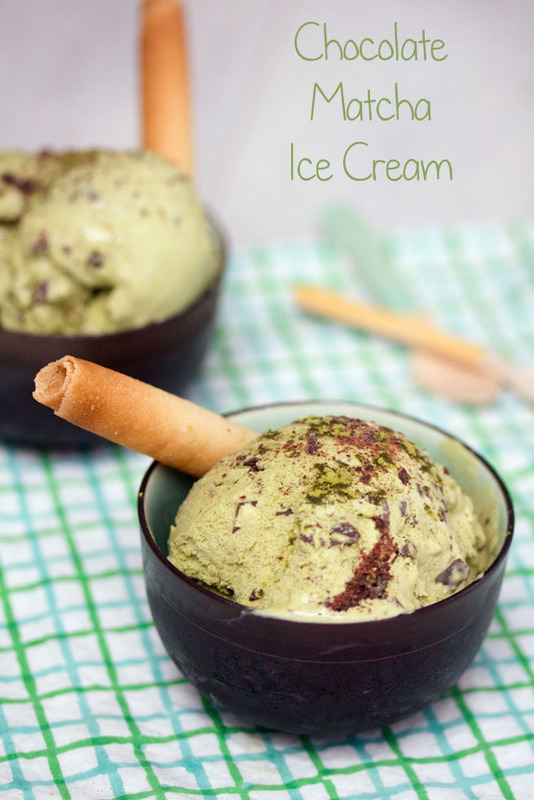 14 Responses to "Chocolate Matcha Green Tea Ice Cream"
Now this is my kind of ice cream! It looks delicious. Such a fun ice cream flavour! Love it! 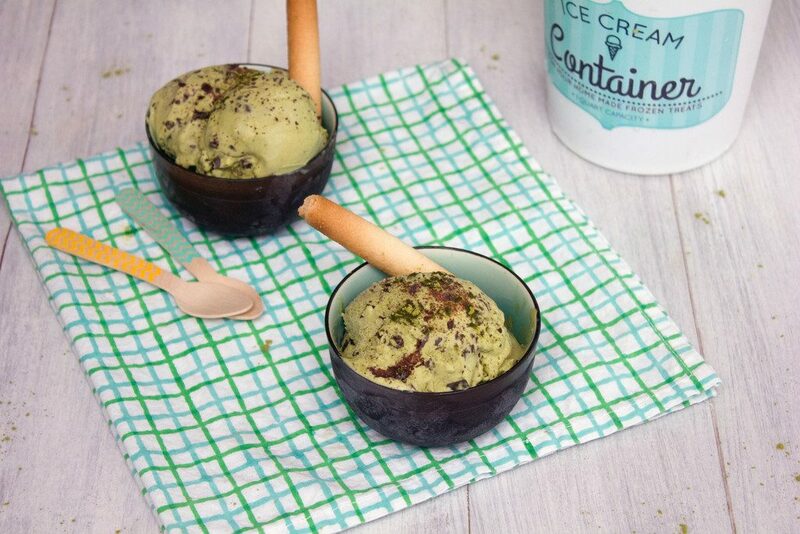 ok you have two of my fave things together, green tea and ice cream and yes the third one chocolate! 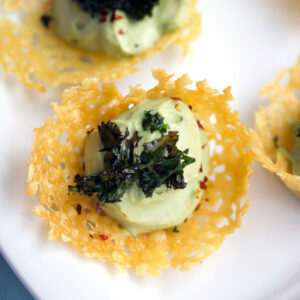 I can’t wait to try this recipe and I just wish that bowl would appear magically in my hands. Ice cream is definitely appropriate for any time of the year! Love this flavor! I’ve never had matcha in ice cream before, so I love the sound of it. Yum!! I love green tea flavored anything but for some reason I never mix it with chocolate. Thanks for making me see the light! I drink a lot of green tea but have never tried matcha powder before. 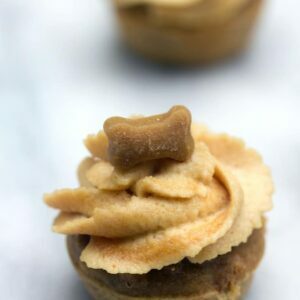 This looks yummy! Good info about matcha! 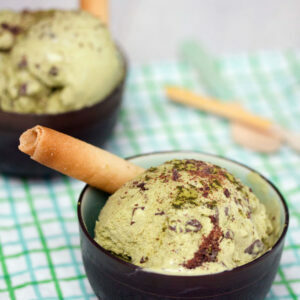 Never have made matcha ice cream, but this looks like a great recipe for my first try. This looks simply to die for! Absolutely beautiful! I could eat ice cream in the dead of winter in the middle of Antarctica, I love it so much. And this flavor combo sounds incredible. Seriously, we are cut from the same cloth, because I feel like ice cream makes everything better. And I don’t care if it’s snowing outside, I’m going to eat ice cream. Case in point – this weekend… we were snowed in and I ate ice cream multiple times. 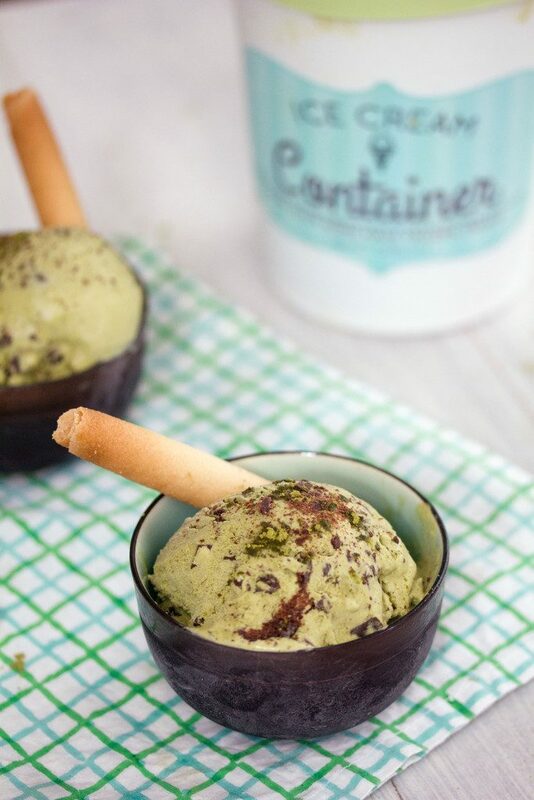 🙂 I LOVE matcha, so it used to flavor some ice cream sounds FAB! I’ll take a gallon please! Cheers!